Without a consumer choosing beef instead of pork or chicken when shopping at their local grocery store, we don’t have much reason to produce cattle, unless you can sell ‘em as pets. I received a very thoughtful question recently, spurred by my editorial in the June BEEF magazine. The editorial, a shortened version of a piece that appeared in this space a month or two ago, asks what you would like retailers to know about how you produce the beef they sell. An important—nope, vital—offshoot of that question is what do consumers want to buy? Because without a consumer choosing beef instead of pork or chicken (or a salad, for that matter) when shopping at their local grocery store, we don’t have much reason to produce cattle, unless you can sell ‘em as pets. Kevin Sothman with Long View Genetics LLC wrote, “I enjoyed your article about Reaching Retailers. Forty years ago, everyone in this country ate one-third of a pound of beef seven days a week, 365 days a year. Today they eat one-third of a pound three days a week. That's a 65% loss of market share. My questions would be to consumers. What are the top five things we need to do as producers to encourage them to eat more beef? I think price and consistency would be two. What would the other three be?" What do you think? I tried to answer Kevin’s question in a return email and didn’t do a very good job. So I turned to the experts—the folks with the beef checkoff and particularly John Lundeen, the checkoff’s consumer research guru. According to Lundeen, price and consistency would definitely be two of the top five things our industry should focus on. A third would be a focus on minimizing concerns about beef’s safety/production practices. “Consumers are putting more weight on how the product is raised in their buying decisions,” he says. Lundeen provided several charts for you to ruminate on. 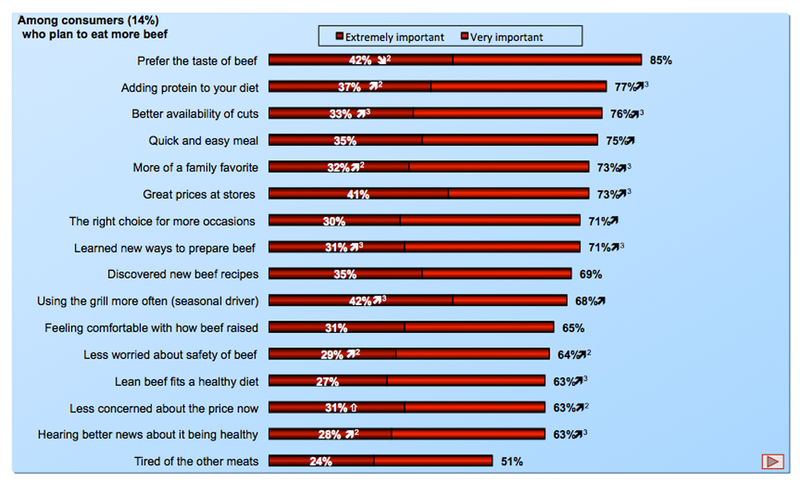 Figure 1 shows the things that show up when checkoff-funded research asks consumers about their concerns with beef. Generally, Lundeen says, consumers don’t have many concerns about beef. However, when provided with a list of concerns, Figure 1 chronicles the reactions. Following that line of questioning, Figure 2 shows the results of checkoff-funded research that has produced a list of reasons consumers give for eating less beef. This question is asked to the 19% of consumers who indicate they are eating less beef, with data produced by a spring 2017 survey. 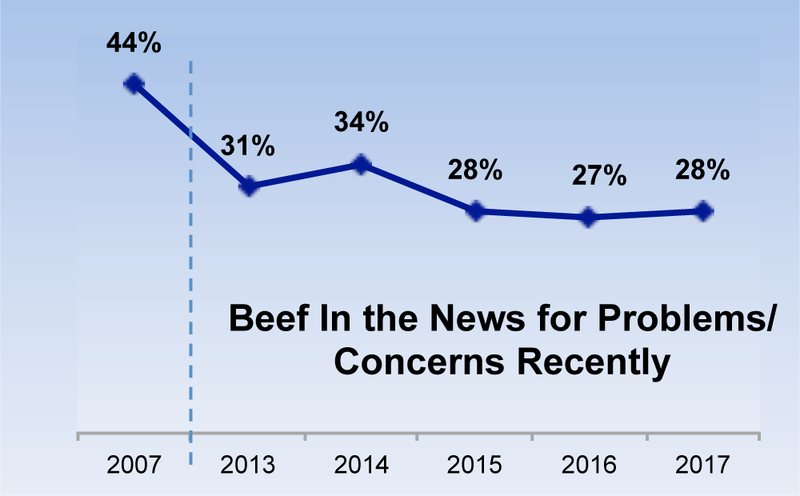 On a more positive note, research tells us that consumers are generally shrugging off the negatives they read and hear about beef in the general news media and in their social media circles. Lundeen says Figure 3 “speaks to the effort that the industry has made around continuous improvement – which I believe has resulted in less negative news and associated concerns about the industry. It is the good news story." 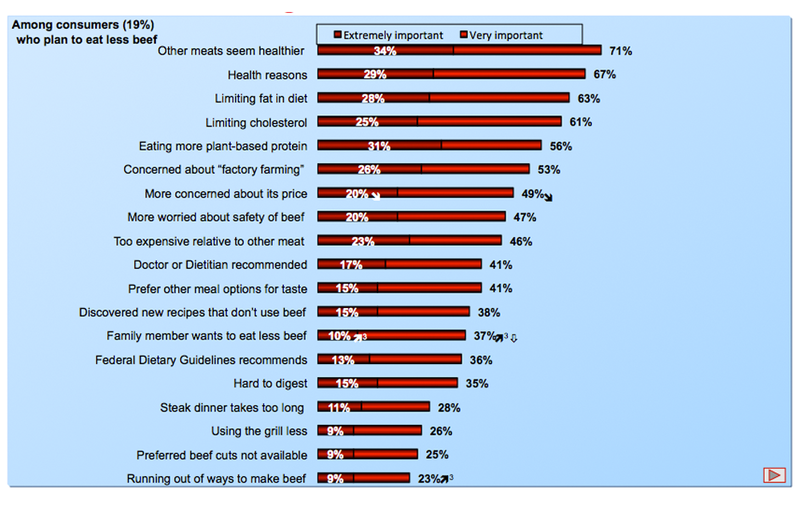 And finally, Figure 4 shows the response when the 14% of consumers who say they plan to eat more beef were asked why. The charts show that beef nutrition is both a challenge and an opportunity, but it's a challenge and opportunity I think we're up to accomplishing. So what do you think? What are the most important consumer attributes about beef that you, as a beef producer, can do something about? And how do we continue to claim market share while still paying attention to the economic important traits like calving ease, weaning weight, stayability and others?